America: "What's the big idea?" Journal Prompt #9 – due Wed 5/7 For your final journal entry, consider what you’ve learned in this class and also *how* you’ve learned in this class. Look back over the syllabus. How has your understanding of American intellectual traditions and core national concepts grown over this semester? What readings did you feel you learned from the most, and the least? Which unit(s), projects, or conversations most engaged your interest? I’d also be curious to know what you wanted to learn but didn’t – what didn’t we cover, or get to, that you hope to explore further once this class is over? What advice would you have for students taking this class in the future? Our last three class sessions will be conversation panels based on your research and “big idea” papers. These are something between presentations and discussions… each person will have the chance to talk in which you need to BRIEFLY convey the main points or innovative structure of your paper. Make sure your audience (who of course have not read your paper) clearly understands what your “big idea” was and how you connected your 4 thinkers. Do not just read from your paper, and do not prepare any slides or other visuals. I have divided our class papers into themed panel sessions (similar to an academic conference). Each panel will have 30 minutes, and will feature 4-5 students. This means you have about 6-7 minutes MAX for each person, but I would recommend planning on more like 2-3 minutes, with time for discussion among the panel to tie the big ideas together. Since there is no final exam, this represents our opportunity to synthesize and tie up the themes of the course as a group. I am very proud of the work you have done as a seminar together and hope this feels like an appropriate crowning event of all your hard work. This last unit considers one of the most fundamental of all American stories: that we are a nation of immigrants. 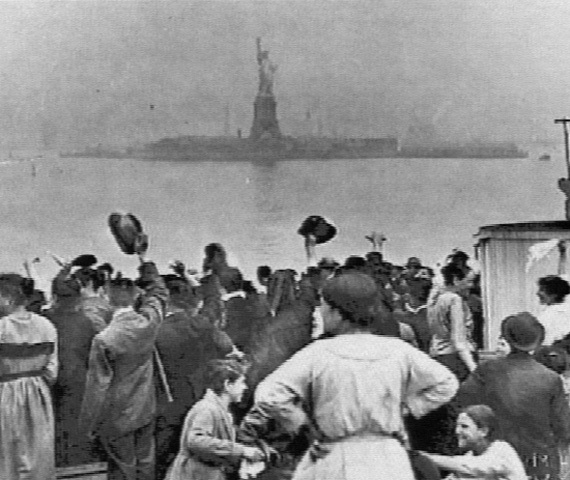 It is focused on the “big ideas” of cultural pluralism and the “melting pot” that arose in the context of the huge wave of (mainly) European immigrants during the era of Ellis Island from the 1890s to the 1920s. Although we are confining ourselves to debates over immigration and assimilation that took place a century ago, I am sure you will see the relevance to our current moment of unsettled public debate over immigration and belonging. Tues 4/15 Confronting the “Other” in the 19th century City. Discussion leaders: Kat B., Ryan M. Reading: Jane Addams, Chapters 8 and 11 from Twenty Years at Hull House, and Jacob Riis, How the Other Half Lives (pick 4 chapters to read, they are short). “Big Idea” Research Precis is due. a research log or annotated list of what you’ve read so far in your research, and what remains yet undone in your research. If you’re lost or need help, signal it. The precis will be graded mainly as a check-off, but if I identify potential problems with sources or framing of the paper, I may award only partial credit and come back to you with comments or suggestions for improvement. Journal Prompt #8 – due Thurs 4/17 Write a 350+ word journal response that describes a time when you have encountered or confronted a person or group you experienced as “other” and connect it to our recent readings. In what ways have you felt like an insider, or an outsider, to the American experience? Alternatively, going back to our discussion of manifestos on Thursday the 10th, you can use Journal #8 to write the manifesto you wished you’d had time to finish in class. Thurs 4/24 Film Day: In-class screening of The People Speak. No assigned reading. Your “Big Idea” paper is due. As the unit title suggests, our next set of class sessions takes a chronological tour through some major American intellectual movements, beginning with New England’s own transcendentalism. The Metaphysical Club will be reading and discussing Part Four, and you should be thinking about your own “big idea” for the final paper. Tues 3/25 Transcendentalism, Romanticism. Discussion leaders: Robert K, Oliver H. Reading: Henry David Thoreau, Walden (entire book, but especially Economy, Where I Lived and What I Lived For, Higher Laws, and Conclusion). Thurs 3/27 Pragmatism. Discussion leaders: Jak K, Alex R. Background reading: Pragmatism (Stanford Encyclopedia of Philosophy). Reading: William James, “A New Name for Some Old Ways of Thinking” Pragmatism Lecture II: read at OpenLibrary, pp. 43-81, or here’s a 12-page PDF of the same text. For class discussion, think: why would YOU need this theory; what is it “good for” in your own intellectual work? Journal Prompt #6 – due Thurs 3/27 Write a 350+ word journal response addressing the evolution of American thought from Thoreau to James, and your take on the major 19th century intellectual movements we’ve read about in the course so far, including abolitionism and feminism (you might return to the Popular Lecture essay to refresh your memory on the intellectual world of antebellum America). If you are participating in the Metaphysical Club book group, has reading that book alongside these original works enabled you to connect the ideas, movements and people together better? Tues 4/1 The Modern Temper. Reading: Daniel Bell, “Modernism Mummified” (PDF) and peruse the “American Modern” exhibit from MOMA. Choose your “Big Idea” by this date. Thurs 4/3 The Self and Society. Discussion leaders: Tim S, Ross R. Reading: Thoreau, “Civil Disobedience” (if your edition of Walden does not contain it, you can read it online here); King, “Letter from Birmingham Jail,” MLK/Malcolm X book pp. 74-90. Journal Prompt #7 – due Thurs 4/3 Write a 350+ word journal response to our recent readings on modernity, modernism, and the self in modern society. With whom do you most identify? Which thinkers or movements do you think have been most influential or important in the 20th century? Thurs 4/10 The 1960s Watershed. Metaphysical Club, please make sure you post by this date. Reading: to get a sense of the voice of protest and proclamation in the 1950s/1960s, the bold yawp of a new generation, I’d like everyone to read Alan Ginsberg’s 1956 free verse poem, “Howl” (In class we will also listen to this recording of Ginsberg reading it). Then, I’m giving you a short list of other manifestos (and consider what IS a manifesto, anyway? – and why did this era see so many of them?) and I hope that you’ll read at least 2-3 of them if not all. Think about where and why these statements were written, published, and publicized. Is there a unifying theme? Is there an identifiable intellectual movement (or at least mood/temper) of the decade? 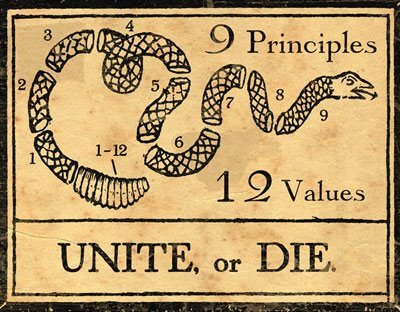 If one of the founding principles, a basic American value, as stated in the Declaration of Independence, is that “all men are created equal” – does that include women? Is gender equity an American value? Is equality gendered? What does “equality” mean anyway (and is it different from “equity”)? How have Americans in different times dealt with these questions? These are the central concerns of our third unit. It’s short, but important! 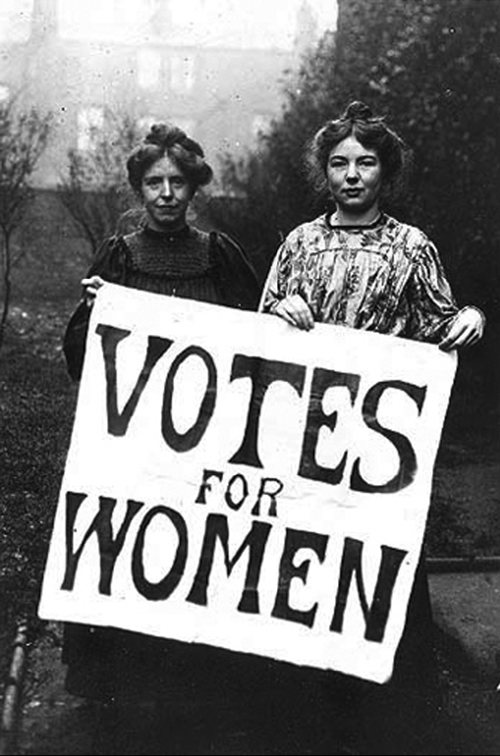 Journal Prompt #5 – due Thurs 3/6 Write a 350+ word journal response considering (connecting, contrasting, contending with) the ideas behind and the timeline of the struggle for racial equality vs the struggle for gender equality (keeping in mind that 1/2 of every “race” includes women). Are both “American” conflicts in the same way? Why or why not? Whose ideas have resonated or stuck with you the most since your last journal entry? Thurs 3/13 Presentation Day – no assigned reading. Groups present their “American Arguments” Project in class. Reminder: Metaphysical Club is in Part III now. Spring Break = March 15 – 23. Have a good break! Today, instead of meeting in our regular classroom, head across May Street to the back end of the Temple Emanuel building for a special lecture at 10:00 am by James McBride, titled “The American Dream Reimagined: Race, Ethnicity and Education.” I will take attendance, so be sure to check in with me either before or after he speaks. 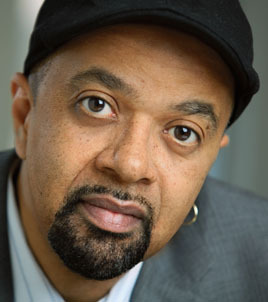 Speaker Bio: James McBride is a renaissance man and a born storyteller. He is the author of Color of Water: A Black Man’s Tribute to His White Mother, a moving narrative about his mother, a white Jewish woman from Poland who married a black man, founded a Baptist church, and put 12 children through college. The Color of Water is an American classic, read in colleges and high schools nationwide. It has sold more than two million copies and spent two years on the New York Time Bestseller List. His new book, The Good Lord Bird, a 417-page novel that is rooted in the true story of slavery, won this year’s National Book Award. A graduate of Oberlin College and the Columbia School of Journalism, McBride has written for The Boston Globe, People, and The Washington Post. After the lecture, please post a comment (using the box below) giving some feedback and perhaps a discussion question/your impressions on the event. If you don’t see a comment box, click on the title of this post to bring it up at the foot of the post and to see others’ comments. How did McBride’s lecture connect to what we’ve read in this unit? Did it resolve and synthesize what we’ve focused on in this unit, or did it bring up more questions for you? Do you think, given what he had to say, that the civil rights movement as Malcolm X and Martin Luther King participated in it has been realized (and according to whose vision? ), or that its achievements have been subsequently dismantled in the U.S.? What do you wish we could talk about as a class after hearing him speak? This unit will jump around in time a little, there are some changes from the original syllabus – but in this unit we explore the paradox of race in America across time and region. Our main book will be Howard-Pitney’s collection of documents related to Martin Luther King, Jr. and Malcolm X in the 1950s and 1960s, working both backwards and forward in time from there. We also have the advantage of a relevant campus speaker, which we will attend together. This unit also kicks off our student-directed discussions. The Metaphysical Club should now be in Part Two of the book. Thurs 2/13 Snow Day, no classes – Journal #4 is still due online, though! Journal Prompt #4 – due Thurs 2/13 Which speech will you write about? How’s the research going? Use your journal entry to update me on your progress; remember you have a bibliography in one week on the 20th. Tues 2/18 American Dilemma (Race Relations in the US before the Civil Rights Movement). Discussion Leaders: Will W, Michaela F. Readings: DuBois, “The Talented Tenth” (1903), 2 short columns by Langston Hughes written in the 1950s from the point of view of his fictional comic Harlem “everyman” Simple (click here for the PDF of both); and lastly 2 documents related to the 1944 book An American Dilemma by Swedish sociologist Gunar Myrdal: some short excerpts from the book, and a retrospective report from Carnegie Corporation who sponsored the research in the 1940s. Thurs 2/20 Civil Rights Movement(s). Discussion Leaders: Emily F, Liz B. Reading: Howard-Pitney, MLK and Malcolm X Part I (pages 1-72). Due in class: Speech Bibliography, formatted in Chicago Style and with a brief annotation (2-3 sentences) describing each source’s contribution to your paper and justifying its inclusion in the bibliography. Tues 2/25 Racial Justice. Reading: Howard-Pitney, MLK and Malcolm X Part II (pages 73-179). Thurs 2/27 Campus Speaker: James McBride, “The American Dream Re-imagined: Race, Ethnicity, and Education.” Location: May Street auditorium, 10 am. Please check in with me on location, I will take regular attendance. Speech Paper is Due, please turn it in to me at the lecture. For the first week of February, we continue our unit “A New Nation, Conceived in Liberty” with a look at “Founding Mothers” and at the creation of a (gendered?) public sphere. Thursday 2/6: Special Meeting Place = LRC 319B, the classroom inside the UTS Computer Cluster – not in our regular classoom! We will have a library instruction session with the History liaison reference librarian, Raven Fonfa, in preparation for your speech and research papers. Bring your laptops, please. Even though we’re not having a conventional discussion day, there *is* an assigned reading for Thursday, a fascinating article by Donald M. Scott, called “The Popular Lecture” (PDF). Scott describes the age of public oratory and the lyceum movement in the early national period – part of the scene that would make Edward Everett such a superstar in the next generation. Also: Thursday, you will receive your group assignment for the American Argument / Current Thinkers project. Journal Prompt #3 – due Thurs 2/6 Use this week’s journal as a way to reflect on the readings in this unit, perhaps especially on Scott’s article since we won’t have a chance to talk it over in class. Or contrast the founding mothers and fathers in the texts we have considered. Or synthesize your understanding at this point in the course of what “American thought” meant to people in the founding generation. Tues 28th – Some Antecedents. Consider how each of these three antecedents will inform the American national project in the late 18th century. How do they provide contrasting/diverse roots for American idealism? Thurs 30th – Founding Fathers. 4 Readings: Federalist 10 + Federalist 51 (skim/reading for main ideas is OK), “John Locke: Father of the Revolution,” and one important scholar’s perspective = Gordon Wood, “The Intellectual Origins of the American Revolution”. Journal Prompt #2 – Write the second journal entry on your choice of texts from this week’s readings (any or all). What foundational ideas have you identified in these documents? What intellectual currents informed the nation’s founding? Are some of these currents and ideas in conflict, and if so, how? Journal Prompt #1 – Your first journal entry is due on Thursday Jan 23, in the “My Learning Journal” section on Blackboard. It should be at least 350 words long and posted by 9:00 am. Journal #1 can comment on/connect any of our first week’s readings. You should also mention which current “American thought” forum(s) you will be following this term – choose from the “Today’s Thinkers” links in the course left sidebar. You may also use this initial journal entry to tell me a little about yourself and why you are interested in this class. Metaphysical Club – start reading Part One, and you may begin writing in the club journal at any point. Posts/discussion on Part One should be complete by Thursday, Feb 6th. Remember, participation in the Metaphysical Club book discussion group is required if you are taking the class for Honors, and open to anyone else in the class for extra credit.